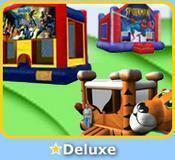 Welcome to Bengal Bounce Inflatables! 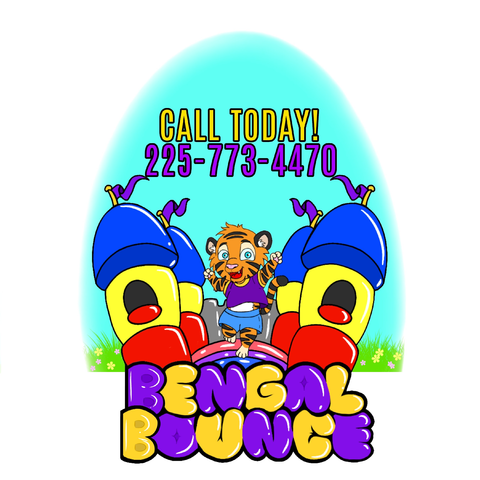 Bengal Bounce inflatables is an Inflatable rental company located between Denham Springs and Walker Louisiana. 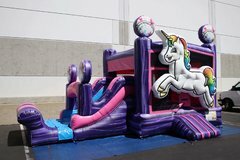 We have inflatable slides, water slides, bounce houses, combos, slip and slides, obstacle courses, interactive games, photo booths, chairs, tables, and concessions. 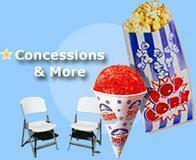 To include: popcorn machines, sno-cones and cotton candy. Give us a call or reserve on-line and we promise a great time. Some quick notes about our rentals. The rental period is 6 hours. We drop off between 8:00am and 11:00am and pick up between 5:00pm and 8:00pm. 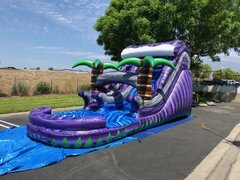 If you want to guarantee a time after 5:00pm you can contact us or pay the $10.00 an hour fee to secure the inflatable. 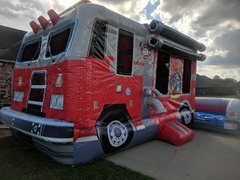 Anytime after 7:00pm the inflatable would be considered an overnight rental costing $30.00. Any rental that is overnight will be picked up the following day between 8:00am and 12:00pm. Park Rentals are $25.00 due to their specific time requirements. Same day orders will incur a $30.00 convenience fee. Early drop offs are between 5:00pm and 8:00pm. The posted price is a cash price. Credit and debit cards are accepted but there's a 4% processing fee on cards. Checks aren't accepted. We are required to collect tax on rentals! Amazing customer service! They were so helpful. Great prices and tons to choose from. They even hooked us up last minute on a holiday weekend. Thanks so much, Bengal Bounce. We will definitely be calling again! 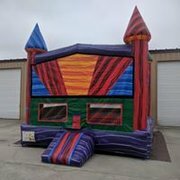 I will always use bengal bounce they are very nice and friendly people have lots to choose from and have great prices thank you bengal bounce! The Bengal Bounce crew was so easy to work with from booking to set up to pick up! Amazing customer service and product. 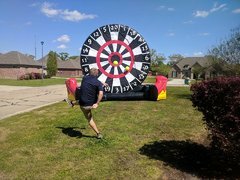 Can't wait to rent our next inflatable!!!! !